The new Mayberry My Reflections Paper Pack from Close to My Heart has a homespun feel, and cheery colors—perfect for capturing summer memories! 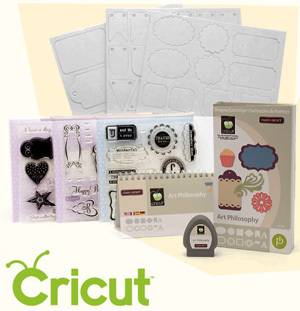 Here are some artwork ideas using this adorable new paper pack. This entry was posted in Cards, Scrapbooking and tagged Cards, Mayberry Artwork Ideas, New Spring 2011, Scrapbooking, summer. Bookmark the permalink. I love this paper and wojuld like to create some of the cards similar to these. I am a brand new CTMH consultant and have looked everywhere for thedirections to make the sun!! Are ther3e directions qanywhere that I am simply overlooking? 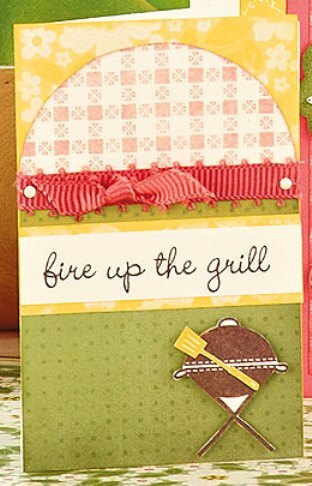 The sun is made using the Splendid Day Stamp Set D1462. 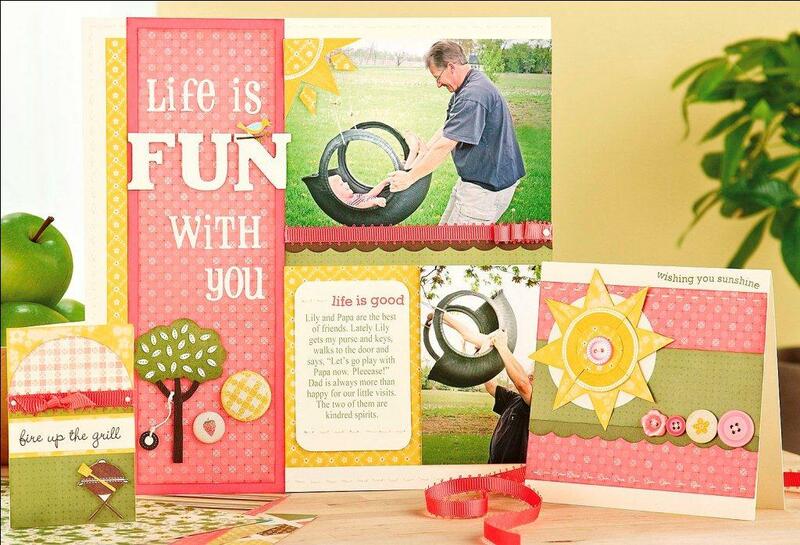 Stamp the sun corner image four times, cut it out, and paste them together on a round base. You can also layer circles or buttons over the top like is shown in the card.